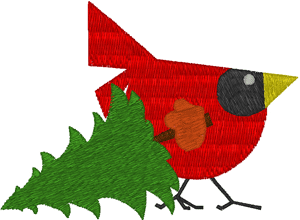 Windstar Christmas Tree Cardinal Embroidery Design. Instant Download! He's bringing home the Christmas tree to decorate the nest. The sewn out size is 2.98" W x 2.19" H with 5,839 stitches.